Sure, we’ve all heard about the importance of the mind-body connection for improving our running performance, but how many of us actually give credence to the idea? Many of us have experienced the strong influence of our mental state on our physical performance, though we may not always be aware of its impact. You’re probably familiar with one of these scenarios … a bad day at work is topped off with an equally miserable run, or a celebratory run after hearing some good news sends you soaring into that runner’s high. Well, just the other day, my run highlighted exactly how powerful our mental landscape can be at assuaging or preventing injuries. For the past five months (or more accurately, 17 years if you consider the repeated flare-ups since I began running) I’ve been battling chronic, relentless hamstring / glute / hip tightness and pain. Call it what you will … the various docs I’ve seen have attributed it to anything and everything, from sciatica to piriformis syndrome to hamstring tendinopathy to good old-fashioned overuse and weakness. Regardless of these meaningless diagnoses, I’ve found no relief, despite my desperate treatment attempts with massage, foam-rolling, ART and acupuncture. And despite this failed therapy, I’ve continued to run through the pain, as any typically irrational running addict would do. A twitter discussion, following a particularly traumatic (to the hamstring) 12-miler, got me thinking. @skorarunning pointed out “I’ve even read that rolling could cause tightness, as it’s a stress to the muscles & they could tighten as a safety mechanism”. @rickmerriam corroborated “Muscles tighten up to prevent joints from going into positions of vulnerability. #BuiltInProtectiveMechanism”. As I started my run the next day and my hammie/glute/hip immediately tightened up (per usual), I thought back to these comments. Why was it cramping? What was it trying to protect itself against? For whatever reason, it was vulnerable, and – sensing the need to shield itself against some mysterious stressor – locked up in defense. The vision of an anxious child came to mind: unnecessarily frightened of a harmless, imaginary threat. ‘If only I could just convince my hamstring that the threat is not real … there’s no reason to ‘fear’ the run,’ I wished. And so I did. I had a chat with my leg and encouraged it to clam the heck down. To stop overreacting. There was no real danger. It was safe and strong and protected. At the slightest hint of tension, I sweet-talked the muscle into soft, loose submission. And to my complete astonishment, the muscle listened, sending me sailing comfortably and strongly through 8 pain-free miles. Was it merely a coincidence? Would my hamstring have behaved had I not whispered soothing lullabies into into its, um, hammie-ears? This was but another experiment of one, and I will never know. But I do know our muscles activate in a beautifully orchestrated neuromuscular symphony, which is intimately connected with our central nervous system. It would not surprise me if the the cognitive superstar of the human nervous system – the brain – is charismatic enough to use its mental coercion to sway its fellow motor neurons into passive compliance. The below article was recently rejected from the Journal of Neuroscience as a ‘Journal Club’ commentary on Davis et al., 2014, ‘Global neural pattern similarity as a common basis for categorization and recognition memory’. Hoping that my efforts will not go to waste, I’d like to give the piece an alternate home here. Please read, comment and share, all free of paywalls! Theories of long-term memory have linked an item’s memory strength to its “global similarity” (Clark and Gronlund, 1996). The greater the conceptual overlap between a target item and other items stored in memory, the more familiar the item will seem. While psychological models have consistently supported the theory that across-item similarity contributes to recognition memory, it is unclear how neural computations give rise to this relationship between representational similarity and memory strength. Neuroimaging studies have shown that activity in the brain’s medial temporal lobe tracks memory strength as well as the representational overlap between stimuli in memory, establishing this region as a likely host for a global similarity signal that confers accuracy and confidence to recognition judgments. Model of the multivoxel pattern similarity analysis. A) The multivoxel activation pattern within a region is extracted for each stimulus (S1, S2, etc.). B) The correlation between the activation pattern for each stimulus and that of all other stimuli is computed. Across-item correlations are expected to be higher for stimuli that are strongly remembered than those that are poorly remembered. Adapted from Xue et al., 2010. In their study recently published in the Journal of Neuroscience, Davis and colleagues (2014) tested whether the similarity between blood oxygen level dependent (BOLD) activation patterns elicited by an item and other encoded items predicted how confidently the item would later be recognized (see figure). Participants underwent functional magnetic resonance imaging while performing an incidental encoding task of repeated Chinese words. They were later administered a surprise recall task, in which they freely reported any recalled words from the encoding task, as well as a surprise recognition task, in which they reported their confidence in having previously seen a word. The authors then computed a neural similarity score for each word, which measured the correlation between the multivoxel activity pattern for that word and the activity pattern for all other words (Davis et al., Figure 1). This global similarity metric was compared to recognition confidence ratings to assess the relationship between neural representational overlap and memory strength. Consistent with their prediction, the extent of global similarity between the multivoxel activation pattern of a word and that of all other words correlated with the word’s subsequent recognition confidence ratings (Davis et al., Figure 3A). Within their medial temporal lobe region of interest, the effect was localized to clusters in both the parahippocampal gyrus and hippocampus. This link between neural global similarity and recognition strength held even after controlling for within-item similarity, which the authors previously showed to correlate with memory strength (Xue et al., 2010). Furthermore, medial temporal lobe pattern similarity also correlated with the semantic relatedness between words (Davis et al., Figure 6). This demonstrated, for the first time, that medial temporal lobe substrates of between-item similarity mirror psychological metrics of memory strength and semantic relatedness. The stronger an item is represented in memory, the more highly its semantic content, and its representation in the medial temporal lobe, overlaps with that of other stimuli. While these initial results speak to the mechanisms by which an item is perceived as familiar, considerable debate exists over whether recognition is mediated by a single neural system. For instance, some neuroimaging and lesion studies have reported functional segregation of familiarity and recollection signals within the medial temporal lobe (Eichenbaum et al., 2007), while others indicate that the medial temporal lobe collectively supports all forms of recognition memory (Squire et al., 2007). Furthermore, there is evidence that successful recall can be mediated by global similarity (Gillund and Shiffrin, 1984), but also by pattern separation of an item from other items (O’Reilly and Norman, 2002). Thus, to dissociate between effects of global similarity on recognition strength and on recall, pattern similarity analyses were additionally performed on non-recalled words alone, and also on recalled versus non-recalled words. Global similarity of medial temporal lobe activation patterns both correlated with the memory strength of non-recalled words and predicted recall success. Thus, both recognition and recall may rely on the degree of neural representational overlap across items in memory. Finally, the authors investigated whether the association between memory strength and neural similarity extends beyond long-term memory. Given prior evidence that learning categorical rules increases the psychological similarity of learned items and activates the medial temporal lobe, they tested whether global similarity of medial temporal lobe representations reflected category learning. Indeed, global similarity of medial temporal lobe activity patterns correlated with the psychological similarity between an item and others in its category (Davis et al., Figure 3B, C). Notably, these regions overlapped considerably with those from the long-term memory pattern similarity analysis (Davis et al., Figure 4). Thus, global similarity computations in the medial temporal lobe may not selectively subserve episodic memory formation, but might support a range of learning processes. These findings suggest a universal mechanism of coding memory strength within the medial temporal lobe that generalizes across domains, beyond just recognition memory. This bridge across cognitive domains aligns well with our understanding that acquiring both episodic memories and categorization rules involves learning new information, a process fundamentally supported by memory encoding. However, the breadth of such a medial temporal lobe code, which extends beyond recognition to encompass recall and categorization, raises important considerations regarding the heterogeneity versus homogeneity of medial temporal lobe memory functions. Some theories of medial temporal lobe function propose distinct roles for the hippocampus and parahippocampal gyrus in long-term memory. A recent study examined whether these regions also functionally dissociate according to memory-related global similarity computations. LaRocque et al. (2013) reported a correlation between across-item neural similarity and recognition strength in the parahippocampal gyrus, but an inverse correlation in the hippocampus. This dissociation contrasts with the parallel representations in the hippocampus and parahippocampal gyrus observed by Davis et al. (2014). Thus, hippocampal representations of global similarity and distinctiveness may both contribute to recognition memory. These seemingly contradictory findings in fact align with computational models of hippocampal function suggesting that the structure performs both pattern completion and separation in the service of long-term memory (Yassa and Stark, 2011). These operations are likely computed by separate hippocampal subregions and support distinct memory functions. Specifically, pattern separation may be mediated by the dentate gyrus and promote discriminative processes that aid encoding and recollection, whereas pattern completion may be mediated by CA3 and generalize across inputs to signal familiarity. It is therefore possible that hippocampal signals of representational overlap and distinctiveness coexist in complex tasks like those employed in these studies (LaRocque et al., 2013; Davis et al., 2014), which may dynamically engage concurrent memory encoding and retrieval processes. Follow-up studies will help to resolve why a pattern completion or separation signal would dominate depending on the task condition or memory manipulation. Furthermore, given the inherent ambiguity of multivoxel signal content, it is unclear what particular information is carried in overlapping activation patters. Here, BOLD patterns correlated with both memory strength and semantic content; yet, multiple additional variables may covary with these cognitive measures and hence contribute to the similarity across multivoxel space. As the authors acknowledge, an infinite number of factors, which can be challenging to detect or control, may increase the similarity between BOLD activation patterns (Todd et al., 2013). Further research will be important to more completely characterize how variance in factors such as stimulus features, cognitive sub-processes, BOLD dynamics, or analysis procedures, may additionally drive the overlap in BOLD patterns of neural representations. The findings of Davis and colleagues provide novel insight into medial temporal lobe coding mechanisms of memory strength, linking computational models that implicate psychological similarity in recognition strength with representational similarity of memory-related brain activation patterns. Together, these results solidify a base upon which to more thoroughly examine the breadth of this medial temporal lobe similarity signal across cognitive processes. Such findings will serve as critical steps towards clarifying the extent to which overlapping neural representations in the hippocampus and parahippocampal gyrus contribute to a range of learning processes – including both those within and beyond the domain of episodic memory. 1. Clark SE, Gronlund SD. 1996. Global matching models of recognition memory: How the models match the data. Psychon Bull Rev 3:37-60. 2. Davis T, Xue G, Love BC, Preston AR, Poldrack RA. 2014. Global neural pattern similarity as a common basis for categorization and recognition memory. J Neurosci 34:7472-84. 3. Eichenbaum H, Yonelinas AP, Ranganath C. 2007. 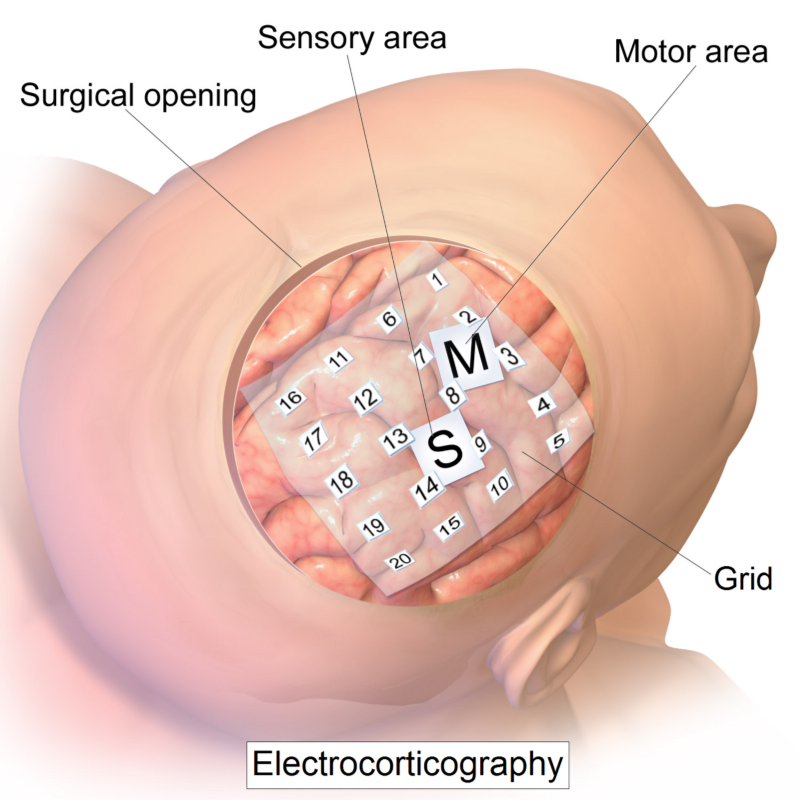 The medial temporal lobe and recognition memory. Annu Rev Neurosci 30:123-52. 4. Gillund G, Shiffrin RM. 1984. A retrieval model for both recognition and recall. Psychol Rev 91:1-67. 5. LaRocque KF, Smith ME, Carr VA, Witthoft N, Grill-Spector K, Wagner AD. 2013. Global similarity and pattern separation in the human medial temporal lobe predict subsequent memory. J Neurosci 33:5466-74. 6. O’Reilly RC, Norman KA. 2002. Hippocampal and neocortical contributions to memory: advances in the complementary learning systems framework. Trends Cogn Sci 6:505-10. 7. Squire LR, Wixted JT, Clark RE. 2007. Recognition memory and the medial temporal lobe: a new perspective. Nat Rev Neurosci 8:872-83. 8. Todd MT, Nystrom LE, Cohen JD. 2013. Confounds in multivariate pattern analysis: Theory and rule representation case study. Neuroimage 77:157-65. 9. Xue G, Dong Q, Chen C, Lu Z, Mumford JA, Poldrack RA. 2010. Greater neural pattern similarity across repetitions is associated with better memory. Science 330:97-101. 10. Yassa MA, Stark CE. 2011. Pattern separation in the hippocampus. Trends Neurosci. 34:515-25.